A glorious solid 18ct Yellow Gold court wedding band is given an unconventional and magical finish, studded with beautiful Round Brilliant cut flush set Diamonds to create elegant flashes of icy sparkle. 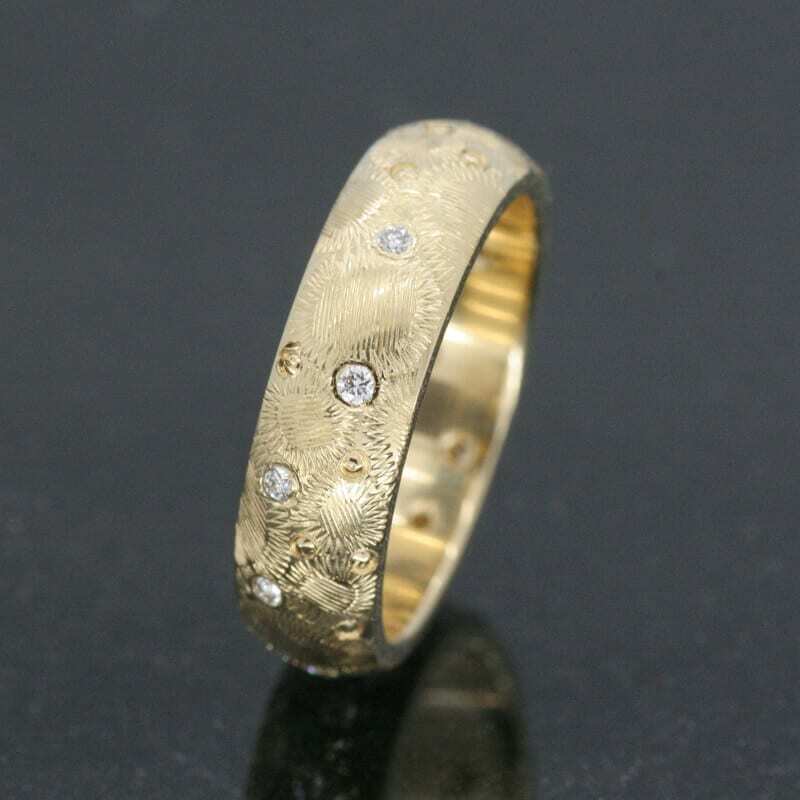 This stunning and unique wedding band is then finished with a meticulous, expertly hand-engraved design adding a glorious pattern to the surface of the buttery Yellow Gold. This unique and truly special custom made solid Gold wedding band is finished with Julian Stephens exclusive makers mark and Hallmarking as a sign of its supreme quality and craftsmanship.